The goal of the irrigation controller rebate program is to increase irrigation efficiency and promote healthy and attractive landscaping within Casitas' district boundaries. It saves water and lowers your bill. Casitas is offering up to $250 rebates for qualifying irrigation controllers. 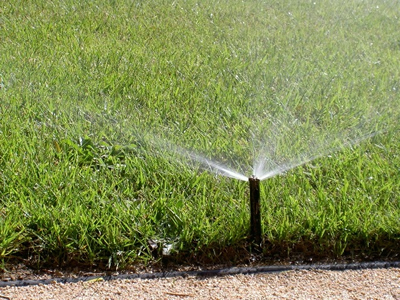 NOTE: As of October 1st, 2011, the Smart Irrigation Controller Rebate requirements and amounts will be changing. The new Rebate amount will be $250. A site visit by Casitas staff will also be required. Select and install qualifying irrigation controller, shown on Makes and Models list, according to manufacture's directions. Contact manufacture for installation, programming questions and for a list of distributors that may have a list of professional installers if you choose not to install yourself. Complete application with attached receipt and deliver it to Casitas MWD, 1055 Ventura Avenue, Oak View, California 93022. Casitas reserves the right to inspect for proper installation.